For 1979 the Eldorado came only with the Oldsmobile 350 engines, Both Gas and Diesel were available. Then in 1980 the Cadillac 368 became available. The Olds 350 was kept for the 1980 California cars and it along with the 368's in 1980 came with DEFI fuel delivery. Cadillac had started to develop an independant rear suspension in '75 -'76 and it was adopted for all of the new E-Bodies, trying to keep the most available space in the rear-seat and trunk area as possible in the smaller body. It succeded in doing that. For a very good article about the rear suspension see this Hemmings article on their site. The Eldorado Biarritz model although not historically correct in usage of the name, it should have been strictly reserved for the convertible, brought back the stainless steel roof cover of the 1st 4-Dr. Brougham's from the late Fifties and came with a whole compliment of options. The stainless roof cover along with the Landau vinyl roof was extremely beautiful in my opinion, especially when equipped with the optional smoked glass Astroroof. A problem with the 1981 model year was an unexplained balancing problem that affected the vehicle's overall handling. I haven't been able to find out anything about this "unexplained balancing problem", not even what the symptoms were. GM corrected this by installing a large, heavy metal plate under the driver's seat. 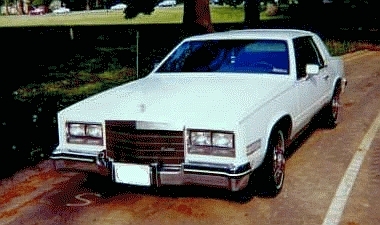 1982 introduced the "Eldorado Touring Coupe" and it had the optional "Touring Suspension" as standard. 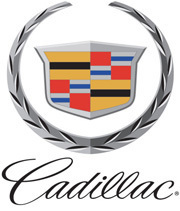 It would be the forerunner of the Cadilillac ETC of the '90's and 2000's. Painted in Teutonic Silver, it came across as what was then known in the auto trade as a "Sleeper", a car that didn't draw a lot of attention to itself, but would perform, handle, and surprise the average person or driver. It was more like the Riviera "T"-Type with it's firmer suspension, it had Sport Bucket seats and a center console, and no Landau top. It also had blackwall tires with special wheels and had a flush hood ornament, all in the effort to make it a sleek Touring car. Exterior paint colors for '83 Eldorado Touring Coupe included Sonora Saddle Firemist and Sable Black. In 1984, Cadillac introduced a convertible version of Eldorado Biarritz bringing the name back to the original intent, that of being a convertible version of the Eldorado. It was 200 pounds heavier, but featured the same interior as the Coupe Biarritz versions. The 1985 Eldorado was the last of it's kind. No more would the world see a body on frame G.M. car. It may not have changed much in the last 7 years, but that's what makes it special. We had a great run. As many other sites have said: "Of all the Eldorados, this generation can claim to be the best suited to the market and the times." And I'll add "to the people who love them"
There is no affiliation with General Motors Corp.